School districts in New Mexico are having to do some belt tightening. Bullet point three caught our attention. This entry was posted on Friday, November 3rd, 2017 at 5:00 AM and is filed under Uncategorized. You can follow any responses to this entry through the RSS 2.0 feed. You can leave a response, or trackback from your own site. ‘Central office staff as substitutes’. So the office staff is all qualified to be substitute teachers? Kind of hard to believe, ain’t it? WE could sure use a lot of the Las Cruces School District INGENUITY in El Taxo. 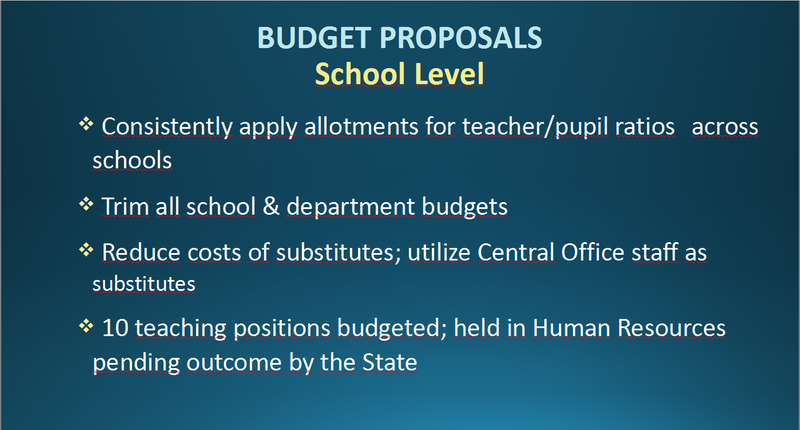 In EPISD all that Cabrera and this School Board knows is TAX, WASTE, SPEND, TAX some MORE. “Got a BILLION$$$ slush fund, SOME taxpayers gave us. Might as well spend it, waste it. We can ALWAYS get MORE”. Yet they can afford to rent the NMSU stadium for $80,000. That’s better than them building another high school stadium. Why waste any of that money? Couldn’t the teams have played at another schools field? $16,000 for ONE game, ONE night? Really? But it’s only money and when Cabrera and company blows through HIS BILLION$$$$ slush fund Bond., HE, THEY at EPISD will just come back for more, more, more including tax INCREASES. THEY can always TAKE more from TAXPAYERS. Sorta explains/underscores an opinion I have long held. School Districts tend to be top heavy with admin types, so there are few people actually getting the work done at any given time. I don’t know how big that district is, geographically, but it makes me wonder what the commute is going to look like for those people affected. I don’t get your point about commute. How do those bullet points relate to commutes? Central office from home is their normal commute. Now, they may well be sending admin types all over town, instead of to that one central location. That changes the commute for each of those people, doesn’t it?